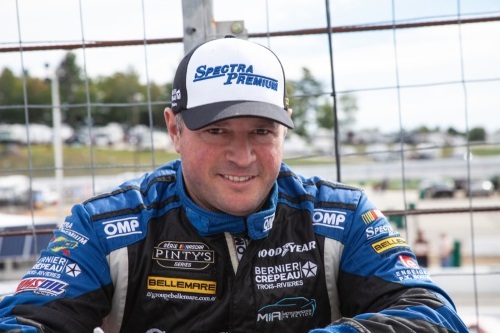 After welcoming Frederic Gabillon at the Grand Prix de Trois-Rivières in August, Canadian driver/owner and Spectra Premium ambassador Jean-Francois Dumoulin is about to cross the Atlantic and make his Euro NASCAR debut this weekend at the historic Circuit Zolder, in Belgium. Dumoulin will drive the #04 Spectra Premium Toyota Camry fielded by RDV Competition to complete the first ever driver exchange between International NASCAR series that Euro NASCAR created with Dumoulin Competition and Spectra Premium to provide yet another opportunity for NWES drivers and promote Spectra Premium’s hi-performance radiators on the European market. At RDV Competition, Dumoulin will drive both the ELITE 1 and ELITE 2 Division and complete a stellar lineup for the French team together with Frederic Gabillon and NASCAR legend Bobby Labonte. “I was very happy to have Fred with us during the Grand Prix de Trois-Rivières and meet Franck, Team Owner of RDV Competition. 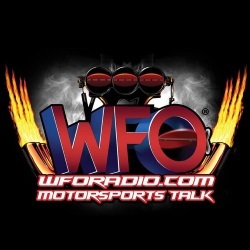 To be part of that team, with Fred Gabillon and Bobby Labonte, is an honor for me. Franck has been a really good help to put a good program for me and he knows that I will do everything I can to perform well on track,” said Dumoulin. Zolder will not be the first race outside North America for Dumoulin, who can count on a vast experience in Touring Cars and Endurance Racing alongside NASCAR. 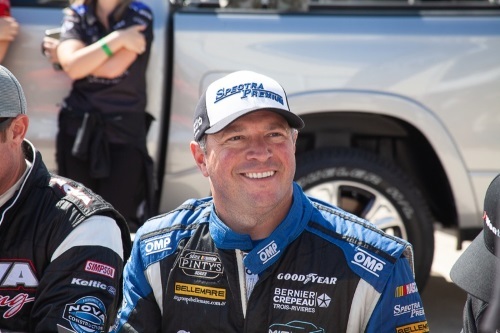 The 42-year old Trois-Rivières native won the 24 Hours of Daytona in 2004 and 2007 in two different categories and is among the veterans of the Canadian NASCAR Series having competed in it since its inception in 2007. 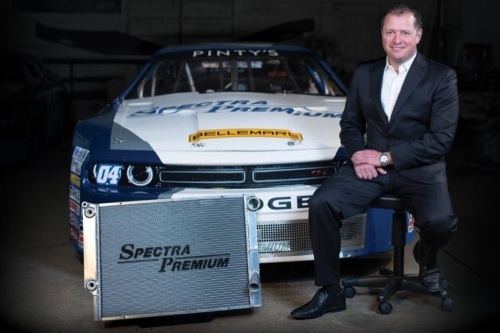 Dumoulin is coming to Zolder after his brother Louis Philippe won the first Canadian NASCAR title for Dumoulin Competition, the team they co-own since two years. L.P.’s title was the second of his NASCAR career. 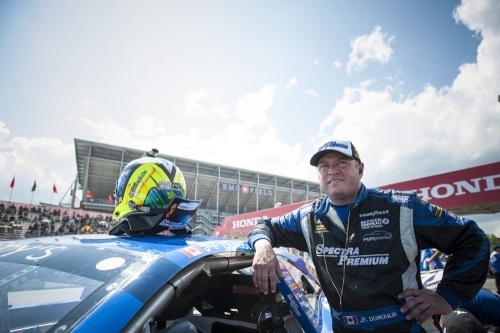 The European campaign for Jean François Dumoulin will start with a visit to the NASCAR Whelen Euro Series headquarters at Blois and RDV Competition’s shop at Chartres in France at the beginning of the week. The team will the move to Belgium, where Dumoulin will take part in the traditional parade in downtown Zolder on Thursday. The Trois-Rivières native will get down to business on Friday with practice, followed by four exciting 16-lap races during the weekend. “I think that with the amount of track time that the European Series have compared to ours, I should be able to get up to the speed quickly and learn the car and feel the difference with what I’m used to. Obviously, we will see all of that pretty soon!” concluded Dumoulin. 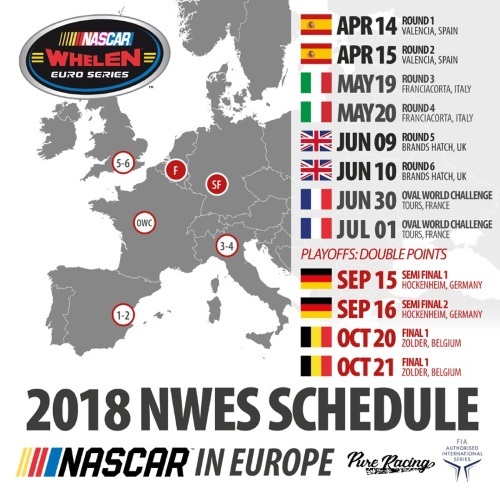 The NASCAR Whelen Euro Series weekend from Circuit Zolder will be streamed live on Fanschoice.tv, the EuroNASCAR Facebook page and Youtube Channel, the EuroNASCAR Twitter account, Motorsport.tv and a vast network of websites and social media profiles.